With seed banks in various locations across Australia and the owner of one of Australia’s largest and most established seed merchants, Nindethana, we are in a unique position to be able to provide a diverse range of high quality native seed for a wide variety of restoration projects. Our native seed banks provide supplies and advice to hundreds of commercial clients, community groups and environmental restoration projects. For over 50 years, Nindethana has been supplying high quality native seed to clients across Australia and overseas. As one of Australia’s largest and most established seed merchants, we have a diverse range of customers from the home gardener to the multi-national company. The majority of our seed is used for environmental restoration projects, where biodiversity and quality is paramount. Nindethana delivers a range of seed related services which can be customised to accommodate individual customer requirements. Visit www.nindethana.net.au or contact Pete Nash for more information. 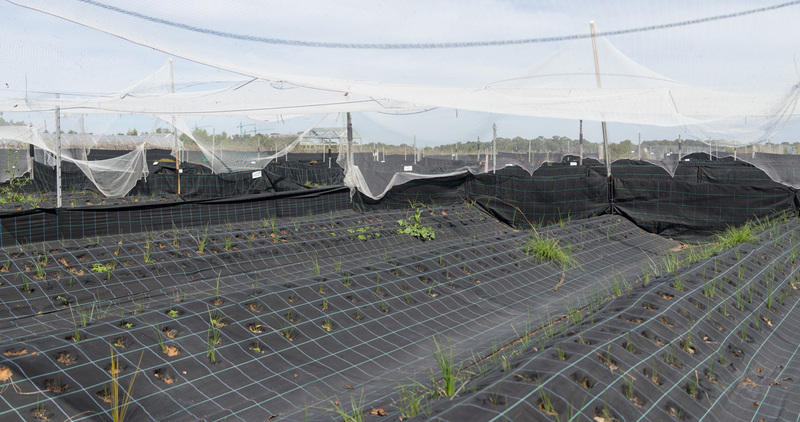 Our Cumberland Seed Production Area (SPA) and professional storage facility in Western Sydney produces a large diversity of native species for our restoration work and clients. Coupled with our highly experienced and knowledgeable staff, we are able to provide you with a full range of seed services tailored to your project needs. 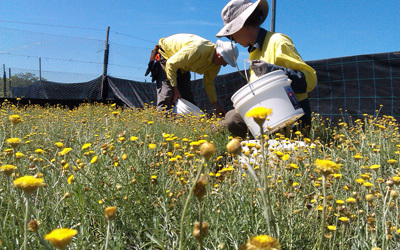 All of our seed management activities are conducted within the framework of the Florabank Guidelines – the widely accepted benchmark for native seed management in Australia. Contact Sam Craigie for more information. 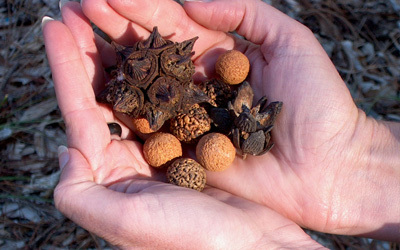 The ten Florabank guidelines are the Australian benchmark for best practice for seed collection and use. Our Florabank species sheets will make it easier for you to find out whether a particular species is suitable for your site, and how best to collect seed, propagate and establish it. Visit the publications section of the site to download the Florabank Guidelines. The Florabank website is currently under review, we apologise for any inconvenience. Our Grassy Woodlands website is an exchange platform for people with an interest in collecting and sourcing plant material of known-provenance, particularly for grassy woodland and grassland ecosystems.